What do we do when we get into some health issues, we consult a doctor … right ? . What do they do in turn ? All the doctors in the world spend time on consultation may be for 5-15 minutes and prescribe medicine and advise us to undergo some lab tests, so on and so forth. Or give us tablet, injection or use various other methods such as Neurotherapy, Siddha, Mudra, Unani, Homeopathy, Pranic Healing, Touch healing, Acupuncture, Acupressure, Yoga, breathing exercise, meditation, maturotherapy, herbal therapy and so may other such methods. Right ? But, in the art of self treatment that I am talking about, you will discover that there is no need for any kind of medication. There is absolutely no necessity to check the pulse, scanning is not required, no diet control, you can have anything you like including junk food such as Pizzas, Burgers, etc. etc. No restrictions at all. Yet, if you follow what is being shared here, you will not get any disease. If you have a disease, it will be cured. You can be hale and healthy. 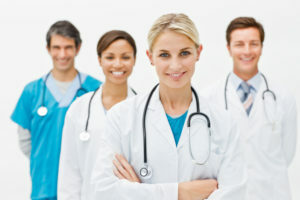 In this self treatment, be rest assured, any kind of disease can be treated without even enquiring what’s your problem. Don’t be shocked if I say, even diseases such as HIV Aids / Cancer and kidney problem can be cured. Out there in the world, Doctors don’t give you any guarantee for curing your disease. But, we give you guarantee. A child had to under Chemotherapy in Coimbatore. The Hospital authorities charged Rs. 3 Lacs for this. The patient’s family were willing to pay this amount but asked for a guaranteed cure. The Doctor refused to give guarantee and was not willing to discharge the child without the family signing the form which says incase some untoward happens to child bla bla they should not sue the authorities and bla bla. There are thousands of followers of Healer Bhaskar. One person challenged the Doctor that he will treat the child (mind you he is not a doctor). He said, if the child doesn’t get cured in 30 days by the art of “Self Treatment”, he will give 1 Crore to the Doctor. The Doctor was shocked and asked for it in writing. He gave it in writing and only then the child was then discharged. You will be surprised, the child got cured in just 15 days time thereafter. The child which was in death bed, is now hale and healthy. Previous Why does the quality of an item in the blood go bad ? Next Why does the quantity of an item in the blood reduce ?